Speed, power, and a little bit of vintage flare is all you need to get a real race going. This kid's rockabilly shirt shows off a classic racing flag and a vibrant red vintage race car. 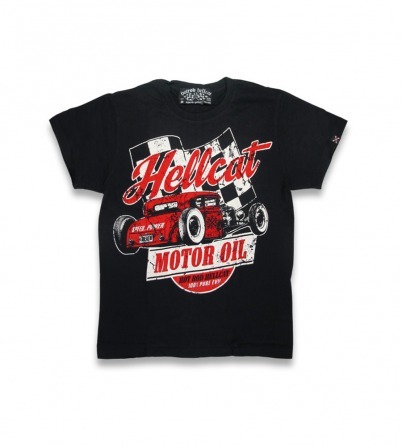 This Hellcat Motor Oil will show off your little ones love for all things racing as quickly as you can say 3, 2, 1, GO!